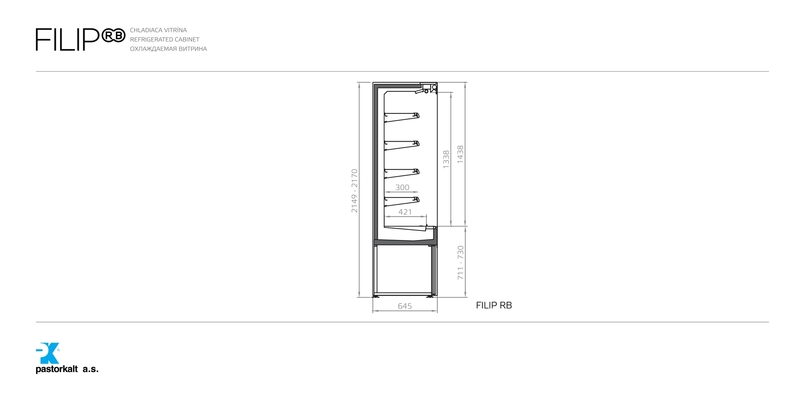 FILIP RB wall display cabinet with intergated cooling unit (plug in) is designed for sale of all food products assortment. It is suitable for shops of all sizes due to a wide range of lenghts, the strict design, clear lines, customisation or integrating to a specific shop interior. Canopy lighting and endwalls lighting ensures maximum visibility ofdisplayed food p[roducts. There is the possibility to install glass door if required. RB version is suitable for back counter displays.